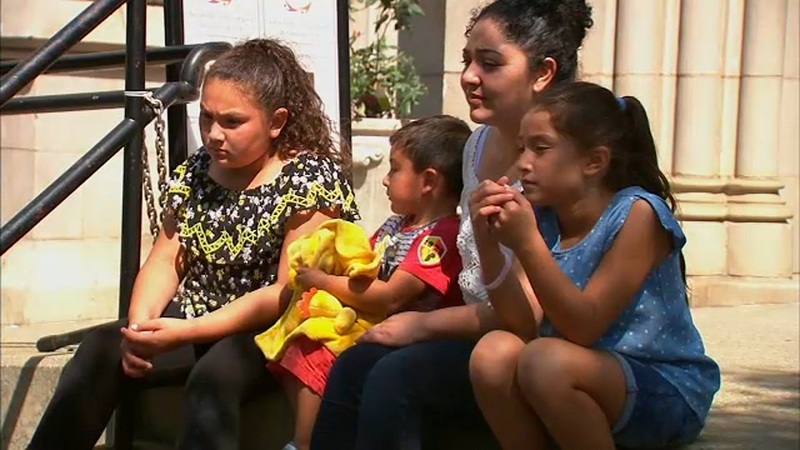 WASHINGTON HEIGHTS, Manhattan (WABC) -- A candlelight vigil was held for a mother seeking sanctuary from a deportation order at a church in Manhattan. Friends and family gathered in Washington Heights to support Amanda Morales-Guerra. The undocumented woman has been living at the Hollyrood Church for a few weeks. Her representatives say she came here a decade ago from Guatemala. Immigration officials say they are reviewing a deportation order.